Clear Gear’s mission is to keep athletes and professionals safe from dangerous infections and free of smelly odors by getting rid of the bacteria on their sports gear and protective equipment. 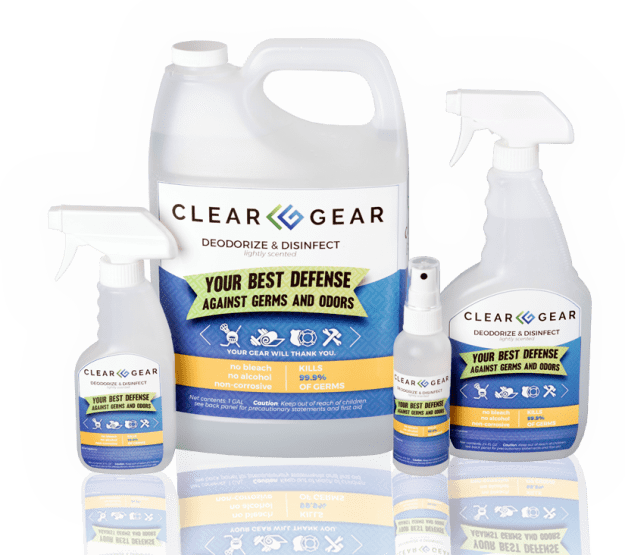 Clear Gear provides protocols to guide athletes and professionals on effective methods to disinfect and deodorize any type of gear or equipment. Our goal is to keep people safer, healthy, and fresh-smelling in their sports equipment and protective gear. Clear Gear co-founder Steve Tracanna said that nothing could have prepared him for the experience he had in November 2011. After a weekend hockey match, Steve started to shiver uncontrollably while enjoying a family movie night at home. He figured it was the start of a serious case of the flu and went to bed. The next morning, Steve felt terrible — especially his left arm where the pain was almost unbearable! His elbow had swollen to almost double its normal size, and the rest of his arm was beginning to swell too. 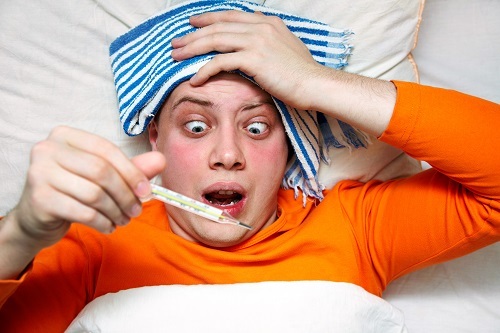 Steve knew this wasn’t “just the flu” and went straight to the doctor, who sent him to a specialist, who sent him immediately to the emergency room. For the next few days, Steve barely slept or ate, nearly became septic, and was told he may lose his arm. After multiple tissue samples, x-rays, MRIs, and lab work, doctors determined that he had contracted an infection through a small cut on his elbow. Steve was put on a massive dose of IV antibiotics and painkillers to get rid of the infection. Eight days later, 14 pounds lighter, and with more than $54,000 in hospital bills, Steve was healed and ready to leave. Upon leaving, he met with the infectious disease doctor who determined Steve had contracted the bacteria from his hockey equipment. His hockey gear and equipment wasn’t properly disinfected. While lying in his hospital bed and later in the days recovering at home, Steve came up with the idea for a simple solution that would disinfect sports gear and prevent life-threatening infections — it was the birth of Clear Gear Spray. Steve’s vision was a bottle of Clear Gear Spray in the hand of every athlete to keep them safe from infection!